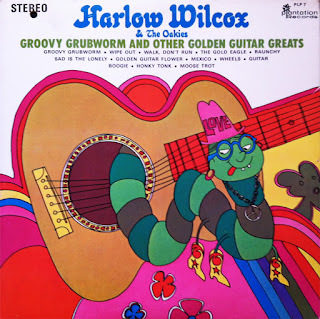 Harlow Wilcox (January 28, 1943 – August 26, 2002) was an American session musician from Norman, Oklahoma. Harlow Wilcox recorded “Groovy Grubworm” in 1969 for the tiny Impel label. 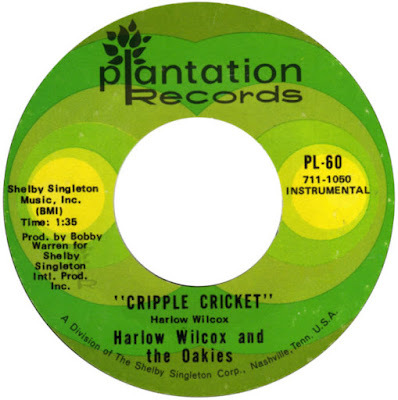 Somehow the song came to the attention of Shelby Singleton, the owner of the previously dormant Sun label (which he used for reissues) and the Plantation label. Singleton purchased the master and re-released it as Plantation 28 in the fall of 1969 (as Harlow Wilcox & the Oakies), which hit No. 30 on the U.S. Billboard Hot 100 chart late that year. 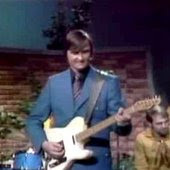 It also reached number 1 on the RPM Country Tracks chart in Canada. The Okies consisted of the best musicians around Norman, Oklahoma at the time. "Groovy Grubworm" has sold over a million copies and was nominated for a Grammy in 1969. 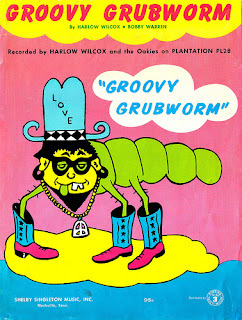 You’d think by groovy tree-hugging grubworm on the cover that this album is far out. Instead, Harlow Wilcox & The Oakies are strikingly conservative in re-imagining such classics as The Surfaris’ Wipe Out, Johnny Smith’s Walk, Don’t Run, as well as dropping in four original compositions of their own that match seamlessly with the rest of these compelling classics. 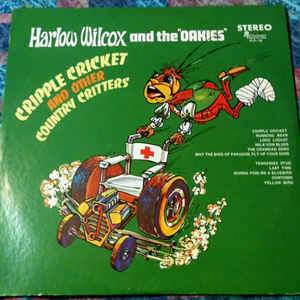 Their next album issued was “Cripple Cricket and Other Country Critters” released in 1971. 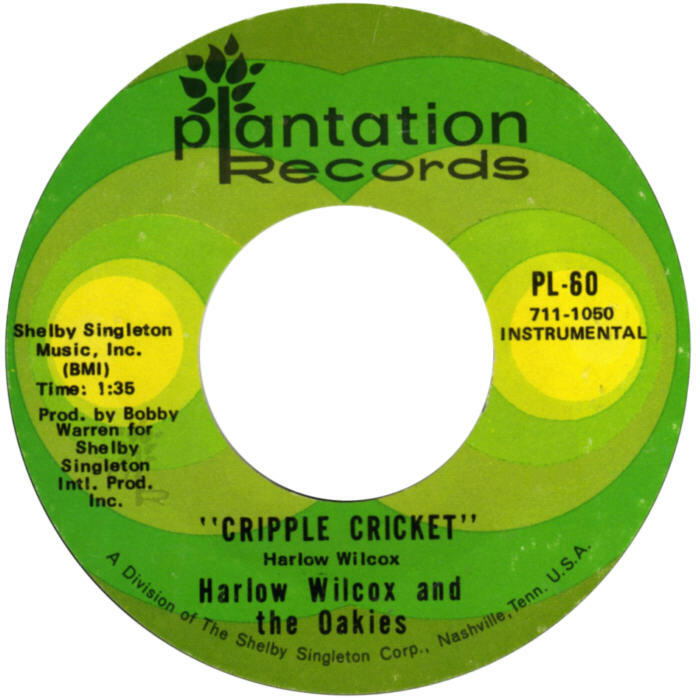 Harlow Wilcox would never chart again on Billboard’s Pop charts, and would have only one more minor country chart hit: “Cripple Cricket” which topped out at #54 in 1970. Both of Wilcox's Plantation albums are available as downloads but not on CD. Used vinyl copies turn up fairly often. A big thank you to Glenn @ Loadsamusics Forum for active link! Thanks Bob. Never heard of this guy but its worth a listen.